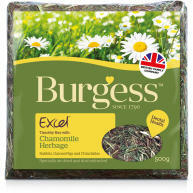 Burgess Excel Long Stem Feeding Hay is nutritionally rich Timothy hay. 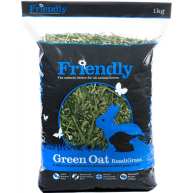 Unlike bedding hay, this feeding hay provides many benefits for your rabbit. 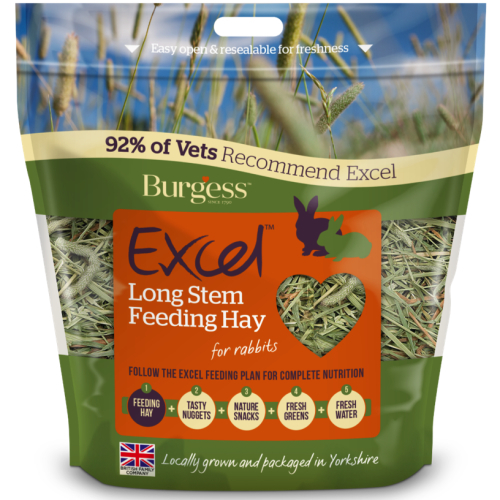 It’s rich in fibre that aids digestion, whilst the long stems of the hay ensure; chewing takes place, great for dental health, and encourages natural foraging providing rabbits with the emotional enrichment they need. •	High in fibre – promoting digestive health. •	Stimulates chewing – supporting dental health. 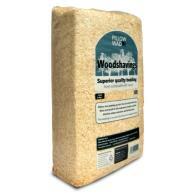 •	Dust is extracted for respiratory health. •	Resalable packaging, maximising freshness. •	Grown in Yorkshire, cut at the correct time and dried within 48 hours. 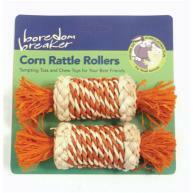 My rabbits love it, really high quality and can only get it from you. I wish you stocked more though.